The upcoming Frozen Wilds DLC for Horizon Zero Dawn on PlayStation 4, will be the game’s only expansion according to developer Guerrilla Games. The Dutch developer said this on Twitter when asked whether more expansions for the action-RPG will be released. “The Frozen Wilds will be the only expansion for Horizon Zero Dawn”, Guerrilla’s Tweet reads. The Frozen Wilds expansion was announced during Sony’s E3 press briefing this year and is slated for a release on November 7 – alongside Microsoft’s Xbox One X. 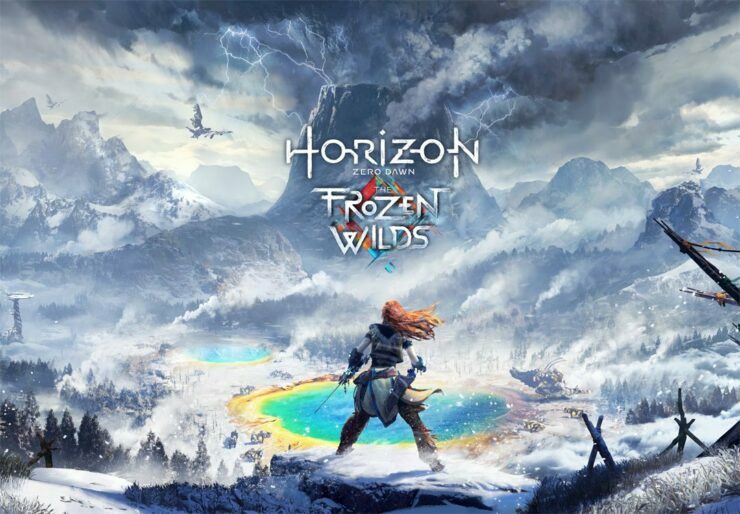 According to Guerrilla Games, the Frozen Wilds expansion will add a substantial piece of content to the main game, but players won’t have to complete Horizon Zero’s Dawn main story to play the DLC. More information about the upcoming expansion will be revealed closer to its launch next month. As covered earlier this month, Sony and Guerrilla Games will be releasing a Complete Edition of Horizon Zero Dawn containing the main game and the Frozen Wilds DLC on December 6th. Additionally, it will contain additional items as included in the Digital Deluxe Edition of Horizon Zero Dawn.